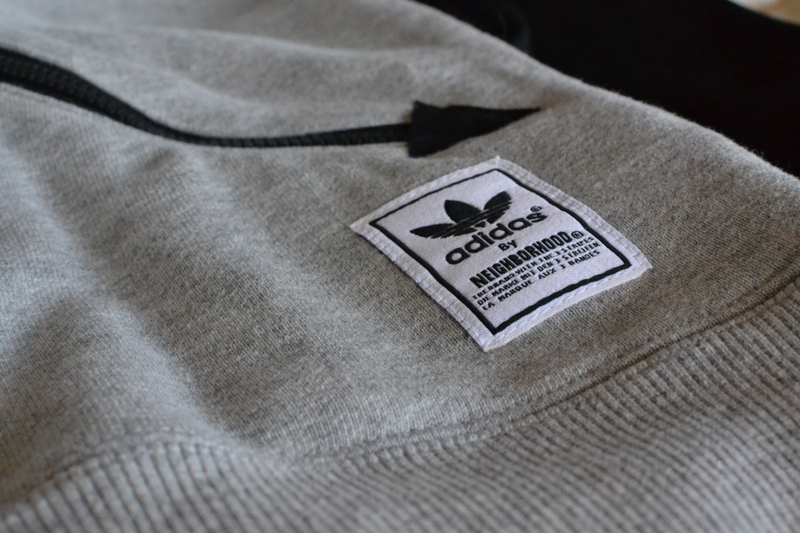 TheBragAffair crew was lucky enough to receive a nice package from adidas Originals. This time around, I was happy to see two pieces from their collaboration collection with NEIGHBORHOOD Japan. We received a significant hoodie and a t-shirt that endorsed a higher class of casual wear. 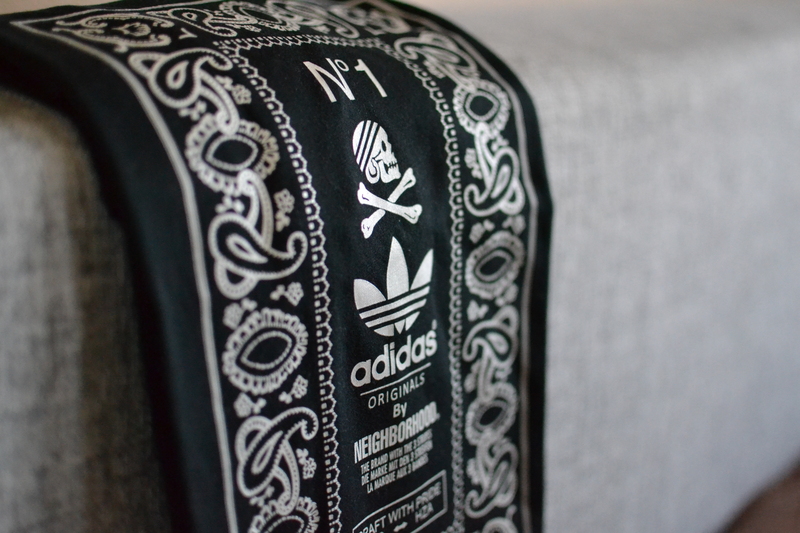 The t-shirt has a brilliant busy yet organized white print design that includes the meaningful skull and crossbones from NBHD and the much liked Trefoil from adidas. Framed in a rectangular border with a paisley motif, I feel the contrast of power and refinement that the designers might have been going for with this shirt. The hoodie. At first glance I could tell it was no ordinary hoodie. My initial feeling was that it was heavy when I picked it up and that would mean a higher quality make-up. 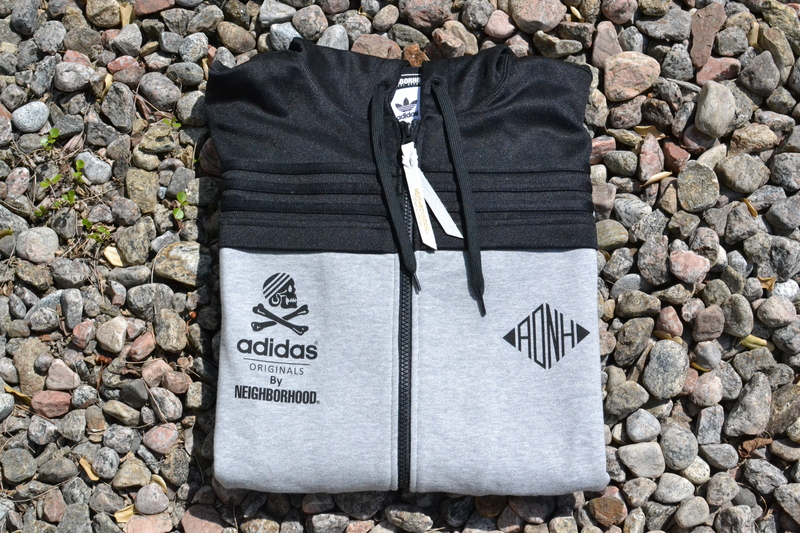 I was a bit worried about the sizing, as I float between a Large and X-Large on jackets/outerwear with adidas brand. Before I proceeded to try it on, I noticed the detailing worked into this piece. 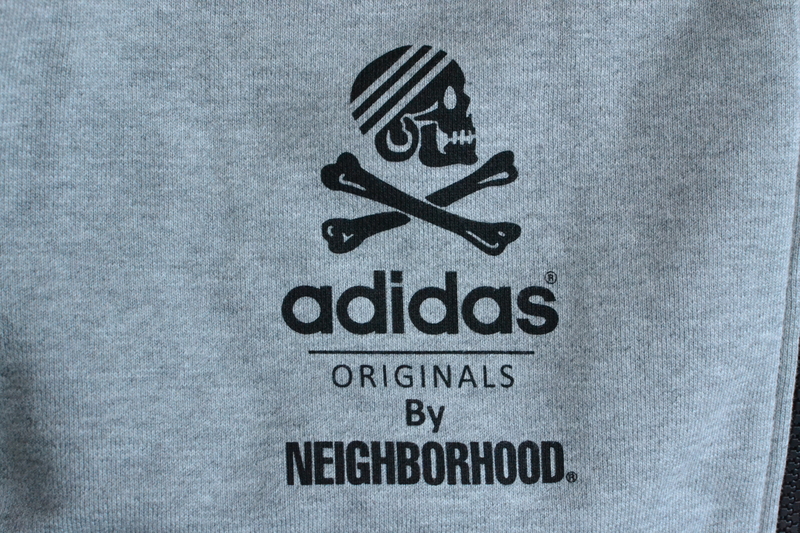 A Trefoil patch at the bottom left of front panel, an adidas x NHBD logo set on the left breast, the skull and crossbones ‘adidas Originals by NEIGHBORHOOD’ on the right, and a huge patch printed on the back of the hoodie with a slightly different representation of skull and crossbones mark on the back. What is particular about the set-up on the back of the hoodie is the patch is purposefully cut at the top where the full logo gets obstructed. A genius design if you ask, as it speaks to the power and impact of the design that only needs to be implied and not necessarily completed. Back to my possible sizing issue. The hoodie fit my shoulders perfectly, but the midriff section and all together length of the hoodie seemed more than I needed. Determined to add this item to my spring rotations, I tried to make sense of why the fit on my shoulders was just perfect and the length was a bit much. It was during a moment of enlightenment that I realized this was an opportunity for me to branch out and get away from the short, fitted, ninja like look I had be representing. This one article of clothing asked me to broaden my outlook on how to present myself and how to build a new stable of looks just by differentiating the fit on some of my clothes. 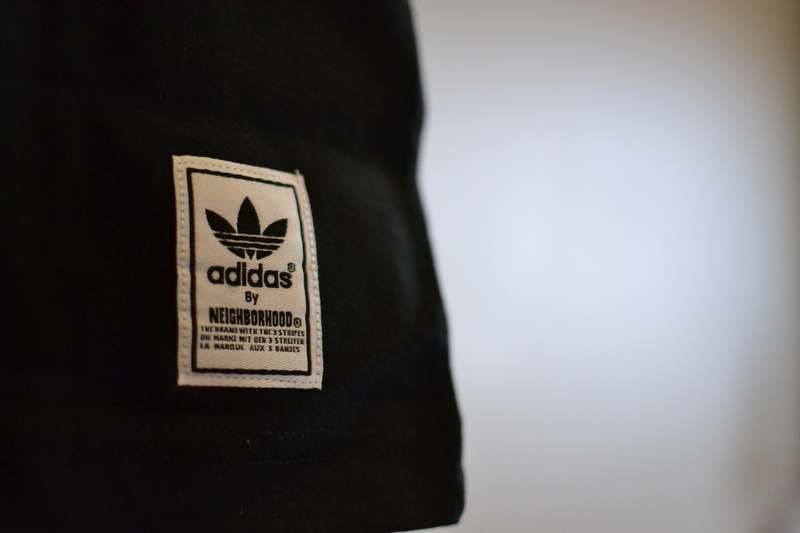 This quality offering from adidas Orginals by NEIGHBORHOOD has made me anxious to say the least and I have been on the lookout for more of their collection. That skull and crossbones logo always seems to have the perfect placement on all of their pieces. On Point.